After my second viewing of Civil War, I got a chance to get some initial reactions from other professional film critics. See what they had to say about the film. Similar to Captain America 2, within just a few minutes we're thrown into the suspense and action that sets the tone for the film. Almost each character gets their moment to shine in terms of action or just displaying their special abilities. The MANY different fight scenes will keep your eyes glued to the screen. There's rarely ever a dull moment and the overall pacing of the film was done very effectively despite being over 2.5 hours long. I think it’s also safe to say that the airport scene is by far one of the best scenes in the film. There were so many surprises in this film. Rarely do I get to say this, but the trailers actually didn't give a lot away. The trailers were altered to the point where some things will still look new. The themes and writing in this movie were carried out in a believable, coherent and authentic way. The motivations of the many characters did not seem forced, in my opinion. This led to some nice plot twists that continue to progress the story. (Though some of those twists were mildly predictable). It's rather difficult to choose a side of one of the characters because the moral lines are so heavily grayed. As a fan of the Civil War comics (great read by the way), I was very appreciative of how Marvel was able to stay true to the nature and feeling of the source material even though they had to change a lot of the details for the sake of the movie. They did a great job of handling issues like the collateral destruction of cities, the loss of life, and the responsibility of great power. What's even more interesting is how the movie is able to maintain an overall serious tone but still find time to have many humorous moments. It's not a comedy, but it does stay true to that "Marvel Fun" that we've come to enjoy. Let’s get into the characters. It’s no surprise anymore that Spider-Man is a feature in this film. His scenes are probably one of the biggest highlights in the movie for both his humor and the action he brings to the table. Luckily what you see in the trailers is only a tiny glimpse of what’s to come with Spidey. Zemo (played by, Daniel Brühl) made for a good villain in this story. It was interesting to see how his motivations drove his actions. Similar to how Tom Hiddleston’s Loki’s character was developed, we are given a bit more complex villain with Zemo’s character. Black Panther....YES! He was AWESOME. Yes I’m biased because he’s like the first black superhero (And because you know…I’m black) I was so happy and proud to see Chadwick Boseman bring this character to life. From his African accent, presence of royalty, all the way down to his proficient cat-like ninja fighting style, he truly embodied what the Black Panther character always intended. (That is to have a sense of pride in African culture) His role in the film has definitely made me more optimistic about the upcoming solo film. I was impressed with how this film was able to juggle so much at once. With this huge cast of characters, it rarely felt as though any one of them suffered from a lack of screen time. Not only that but Civil War also managed to still serve as a platform for the upcoming solo movies. What?! There’s some bad? I know I was shocked too, but bear with me. There’s are two issues I had problems with, but you’ll have to watch my Spoiler Review to see them. I think it’s safe to say that Marvel has done it again. Civil War had a lot of expectations and I think it delivered on most of them. I know a lot of people really want to compare this to Batman V Superman because the movies share practically the same themes. I think that while this may feel like a natural comparison to make, it may be a little unfair to do so. Batman V Superman had a completely different motive and intent behind it. It was a setup movie for all of the other movies DC wants to kick off. (Not to mention they had to play catch up in the comic book movie realm) Civil War was a solo movie for Captain America that just so happened to set up other movies and continue the overall story arc of the Marvel cinematic universe. 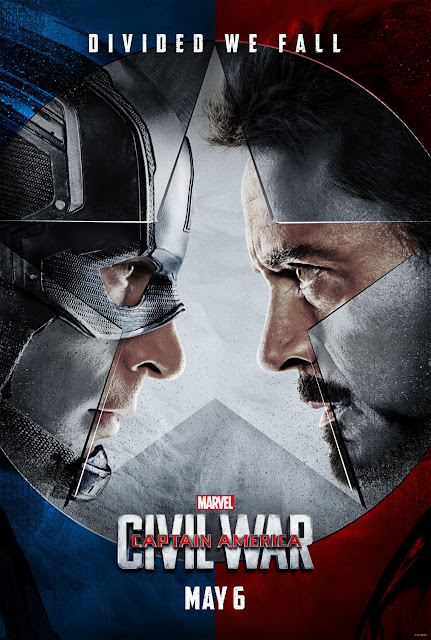 If I had to compare the two, I’d probably say that Civil War comes in slightly lower than Winter Soldier. Winter Soldier gets the edge for its originality. It was the first time we saw an espionage film that just so happened to have super heroes in it. It was the first time we saw super heroes cross into a different movie genre, thus making it rather hard to top. There was no way for Civil War to be any more original than Cap 2, in my opinion. Civil War does give us more of the same compared to Cap 2, except it does two things uniquely different. We’re given two new major characters in Spider-Man and Black Panther, and it accomplished the seemingly difficult task of juggling many characters at once. The movie was about 55% Captain America’s story 25% setup for new characters and 20% everyone else. Overall, Civil War was a very good movie. I’m not sure if IMAX or 3D is necessary, though. (I saw it in a standard format and still enjoyed it) During my screening of the film, there was only a mid-credit ending scene, so I can't say for sure if there's a final scene at the end of credits in the theatrical release. I’d say Civil War is a must see in theaters and feel free to plan your weekend to check this out. I want you to see this for free! So enter in my contest where I’m giving 8 lucky winners a free movie ticket to see Captain America Civil War! If you were one of the 8 lucky winners, please be sure to check your email and/or spam or junk email for the winner's confirmation email.